Here are some excerpts from the Arizona Capitol Times reporting on Mark Brnovich's campaign for Attorney General against scandal-plagued liberal Republican Tom Horne. The Arizona Capitol Times is paid-subscription only, but it's worth the price as the best (and fairest) newspaper in the state. Its Yellow Sheet alone is the best political tipsheet in the state. Horne had the perfect opportunity to stop Brewer's unconstitutional expansion of Obamacare with the Medicaid expansion and didn't do a thing. Brnovich would have stepped in. Horne used to be a liberal Democrat. He can't be trusted. If reelected, we don't know what he will do since he's dishonest. Remember the SEC issue, cheating on his wife, violating campaign finance laws, even a hit and run. He's the AG, not a Democrat running for NYC mayor. Newly minted attorney general candidate Mark Brnovich hit the campaign trail and laid out his case for why GOP voters should choose him over Tom Horne, bashing the incumbent attorney general for legal and ethical problems that have plagued him and alleging that Horne hasn’t done enough to defend conservative principles. At an Oct. 7 meeting of the Arizona Project, a north Phoenix-based Tea Party organization, Brnovich urged about two dozen conservative activists to support him over Horne for both philosophical and political reasons. Brnovich resigned from his position as director of the Arizona Department of Gaming on Sept. 20 and filed to run for attorney general several days later. Philosophically, he said Horne has insufficiently fought federal overreach and violations of states’ rights on issues such as environmental regulations and the Affordable Care Act, commonly known as Obamacare. On the political side, Brnovich said they should support him because he’s the only Republican candidate who can win the general election. Ultimately it’s Horne’s legal and ethical issues that led some Republicans to seek a challenger in the GOP primary. The Yavapai County Attorney’s Office is investigating the campaign finance allegations against Horne. He pleaded no contest to leaving the scene after backing into a car in a downtown Phoenix parking garage. He is facing a lawsuit in federal court from an employee who alleges that Horne retaliated against her for her political affiliations and for reporting the campaign finance allegations to the FBI. And an FBI report accused him of having an extramarital affair with an employee whom he gave a six-figure job. 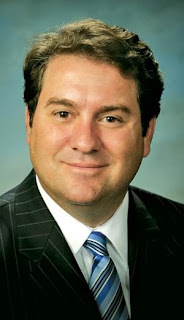 Brnovich said attorney general candidate Felecia Rotellini and other Democrats are hoping that Horne will be the nominee. >Brnovich said Horne should have been more aggressive in challenging Obamacare and federal overreach, such as controversial Environmental Protection Agency regulations on the coal-fired Navajo Generating Station. Brnovich questioned why Horne didn’t opine on whether Gov. Jan Brewer’s Medicaid expansion plan was subject to a constitutional provision requiring a two-thirds vote for all tax increases, chastised him for his agency’s defense of the Arizona Board of Cosmetology in a lawsuit by a Gilbert spa owner, and several times reminded the crowd that Horne used to be a Democrat.